Here's a picture of my Christmas tree! I will show it to you again when I put Christmas lights on it! i remember that one! yes! it's the perfect one! it'll be awesome with the lights! Hey! Everybody else has to show a picture of their Christmas tree too, you know! mine is rubbish looking..3 foot high fibre optic thing that sits on a shelf and we hardly notice it to the point that hubby left it on all night just 2 nights ago. We want to see your Christmas tree, Snowy! ..even if it's something to laugh at! 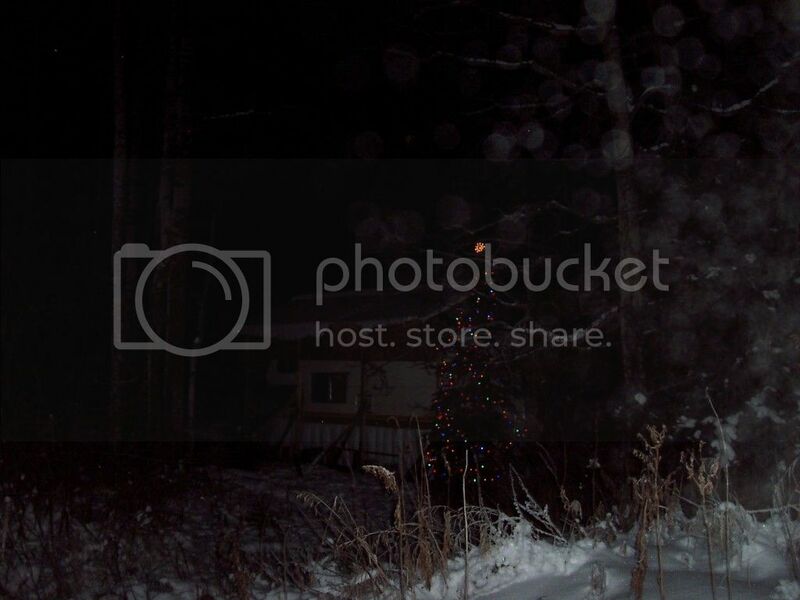 Yeah, I got a picture of mine all lit up with Christmas lights ...but, photobucket is super slow tonight! Maybe 'tomorrow' during the day time, I can try again. Ok! Here's My Christmas Tree! Waiting for yours Snowy and Dory!!! The colours it goes are yellow,pink,white,red,green then does a twinkle/shimmer thing with white. it's a really nice Christmas tree! I took a pic of mine just have to upload it! I hope to do that tomorrow. It's supposed to rain/wintry mix so I should be home with some time! thanks for posting! That's not a rubbish tree, Snowy! 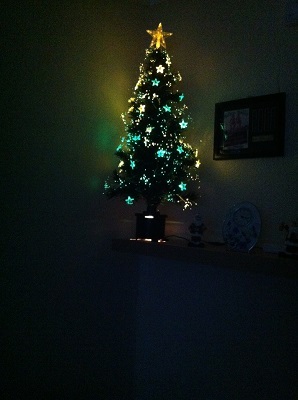 Okay here is my tiny bitty Christmas tree! Can't wait for my house to be remodeled so that i can again put up my big one! And the next isn't going along with this topic but i wanted to let you see part of my wall deco as there i have my cute little snowmen!!! That's a real nice Christmas tree, Merry! ...but, either your Christmas tree is cockeyed, or your whole house is! If Snowy thinks her tree looks like rubbish, I wonder what she thinks of your cockeyed tree!? Hey! It's easy to fix, Merry! ..Just give the tree, or house, a push on one side! The tree and decorations look great. I do have it all inside and a wreath on my front door... the only thing missing is Christmas lights outside, I wish i could at least have some on my deck but hubby is against it! Still, i've not said my last word on it! and i'll get some one of these days! Oh, I am so relieved you didn't get mad at me about the tree! I just wanted to be truthful. Otherwise, it's a beautiful tree! ...I just gotta tilt my head a bit, and everything looks symmetrical! Aww! Forget the neighbors, Snowy! - String-up the lights! Ok, so I got another water-run this morning. The weather was just real mild out, at about the freezing point. I said, "Lord! Thank you for having mercy on me!" 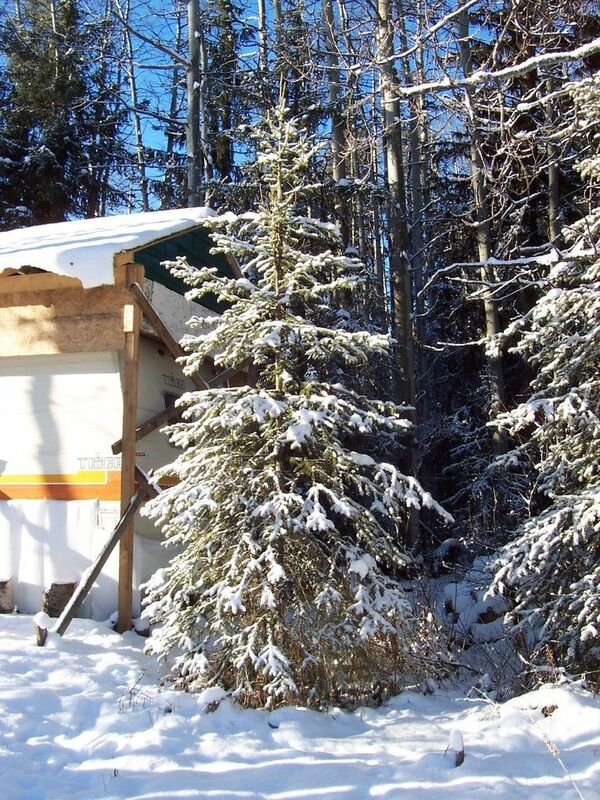 I started loading my car with the water barrel, and whatnot ...thinking I'll have an easy day, when it started snowing! ...Oh! Yes! It started Snowing! By the time I got to the main road, the snow falling turned into an all-out 'white-out' blizzard! Well, I fought through the blizzard, and made-it, to get my water barrel refill. The snow was still flying on the way home! 'Then', wouldn't you know, by the time I got safely home, the blizzard abruptly stopped, with clear blue sky above! Well, that was 'my' morning! People are using snowmobiles on my 2 mile snow road. indeed! i'm glad that all is well that ends well! but, everyone's tree looks really like them all!!!! okay! so, if you think Merry's tree is a little loopy, here's my little itty bitty tree at last (that can't be found in stores anymore??) so, it lacks a little on deco because i never really found the right stuff for it. but, it's cute! i like it! 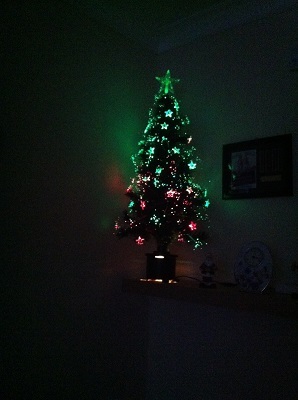 i put it up every year, even it's "lacking"
awww what an adorable, yet beautiful little Christmas tree!!!! I love the old fashion ornaments! Maybe there's a reason why, Dory! No! Really! I Love your tree, and the ornaments, Dory! That Santa and teddybear I love it! Thanks for everybody showing their tree! 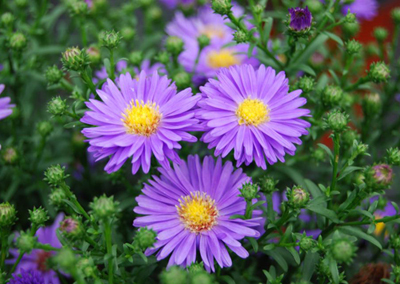 - They're Lovely! You know what, Merry!? - You must be a Tasmanian Devil around your kitchen! 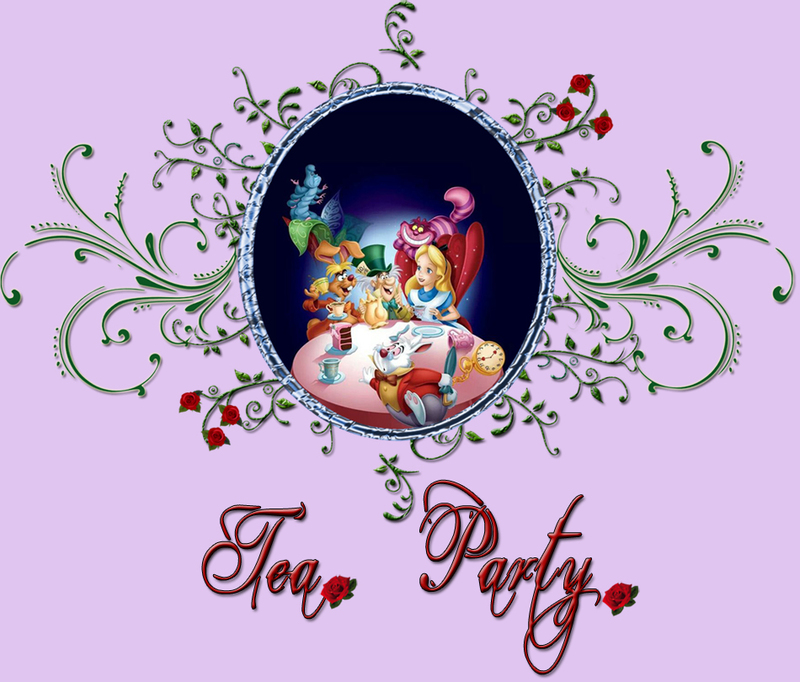 Tea Party :: Merry Christmas To All!